Brooke was the fastest bloke I have ever ridden with but he couldn't stay off the piss , killed him in the end. Great shot of Walter Kalberer, he was my childhood hero on the huskies( many times swiss champion), later became a mentor and good friend . Only passed away too early . Thank you for that shot . Could be one of the last shots on a bike with him . .
Just updated the photo links, they should all work again now. No Photos of Ricky, these are pretty much all I have. Only vaguely remember the kart track, my times would have been poor as I was busy trying to stay upright. Great photo's Geoff.. 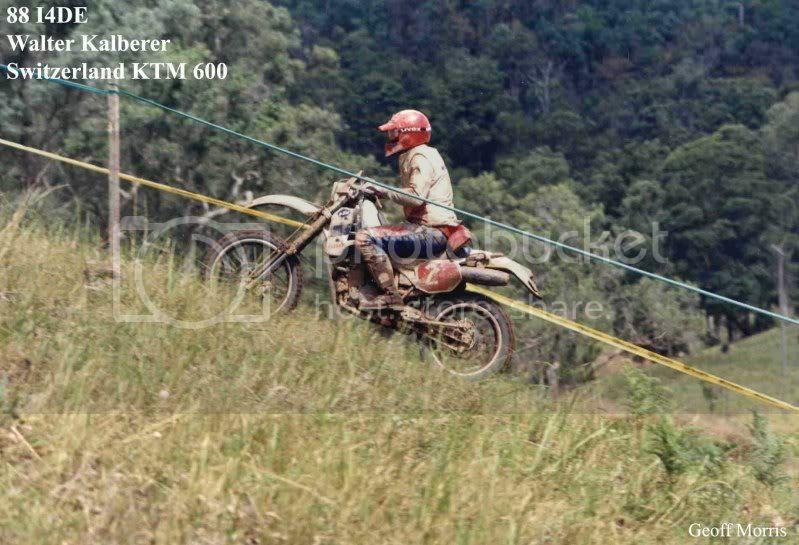 I think some of those shots are on the Conondale motocross track. Didn't Dave Armstrong win outright that year? Yes I think you are correct, a Motocross rider won the I4DE at his first attempt at Enduro.